We recently had a large celebration at our home. 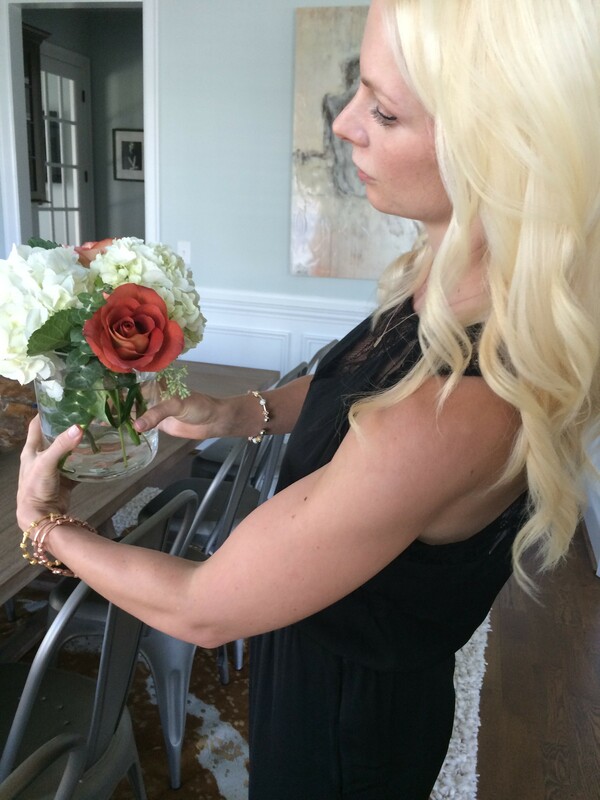 I love to add my own creative touches to the decor by doing the flower arrangements myself. If it is a somewhat formal occasion, such as a wedding or shower, creating your own arrangements saves quite a bit of money. My grandmother, Charlotte, was a florist who owned her own shop in East Detroit many years ago and I think this is where I developed my passion. Some might say that floral arranging is a dying art, but I disagree. Just like fashion, what at first appears halfheartedly thrown together nowadays–like someone lucked out and accidentally created something intriguing or charming– was actually quite calculated. 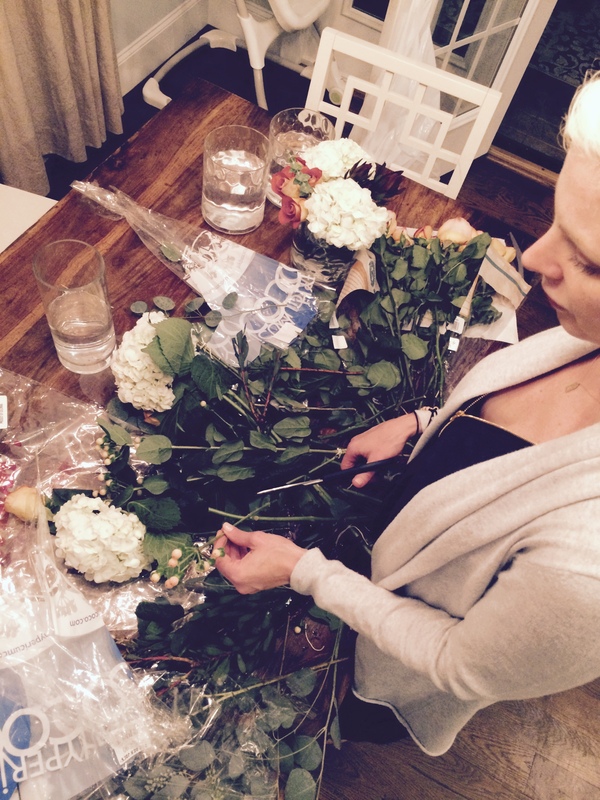 Here are some tips for designing pro-looking blooms worthy of your next special occasion. Bypass the Bouquets. Purchase bunches of single flower types instead of the assorted bouquets. You are paying a premium for the creation of the bouquet and combining the flowers creatively yourself is what makes it unique. Consider Color. If you have a color theme, consider either going monochromatic with that particular color or make the majority of the arrangement white or cream and pop the rest with shades of your choice color. Purchase Fresh & Unique. Instead of being focused on roses or other common flowers, be open to what the retailer is offering. Just like veggies, flowers are seasonal so work with what is in-season. Trader Joes, Costco, Harris Teeter & Kroger all have wonderful options. Get a Bucket. If you are buying a large amount of flowers, many groceries will give you a plastic floral bucket. This makes for easy transport and is great for keeping your blooms until you are ready to arrange them. Cut for Care. 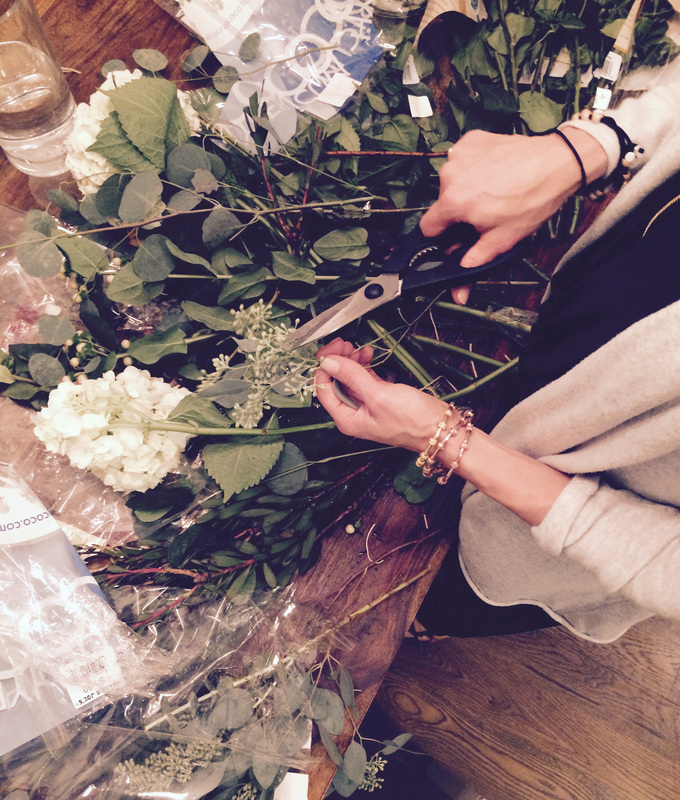 When you get home from choosing your flowers, cut each stem about an inch using utility scissors, refresh the water and add some flower food. This will keep the stalks healthy until you are ready to arrange. Consider Vase Height. Your flowers and vase should be one, pretty combination so cut the flowers down to just above the vase’s edge. Remove all leaves that fall below the water line. This will prevent the arrangement from looking super cluttered. 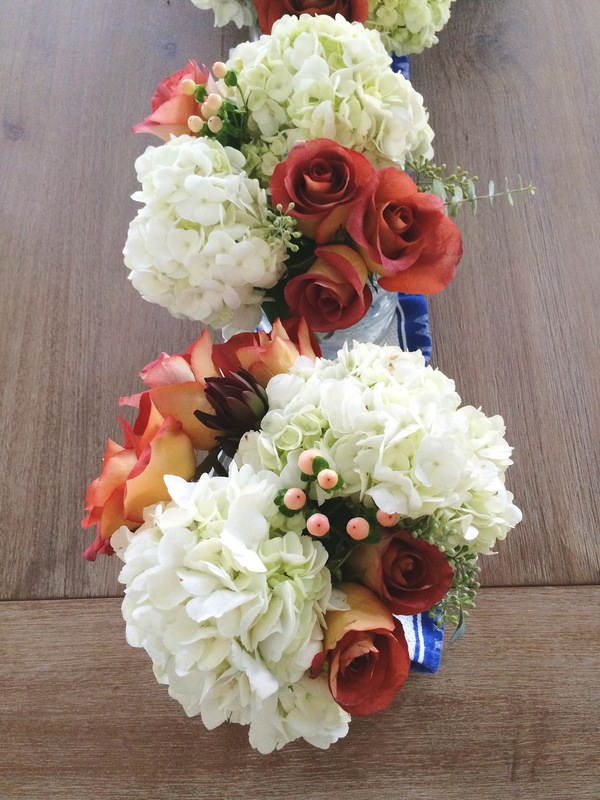 Add larger flowers like hydrangea first and try to balance on all sides by turning the vase while you work. Then add your daintier flower types. Make sure to cut off any leaves which are getting in the way. Make sure you lay a towel or large plate on your wood table to set your arrangements right after your finished (as shown). The arrangements will sweat and you don’t want to ruin your wood table (this is speaking from experience).